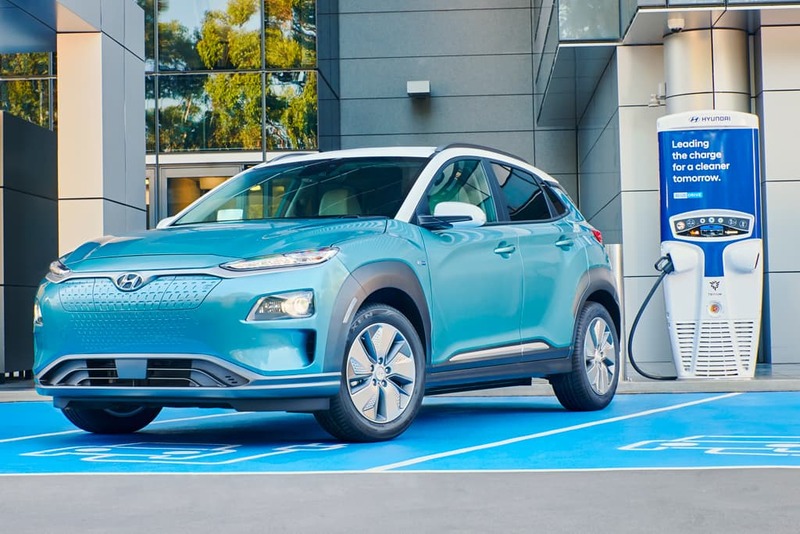 Hyundai Australia has announced local pricing and specifications for its new flagship EV – the Kona Electric – which will sit above the Ioniq and helps cement the company’s position as the local leader in offering affordable pure-electric vehicles. 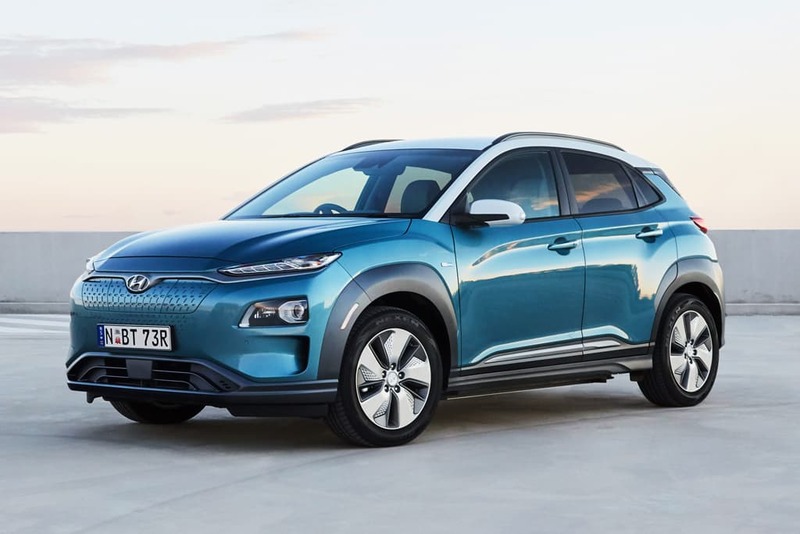 Starting from $59,990 before on-road costs, the Kona Electric’s greatest selling-point will be its 449km WLTP real-world driving range claim – the less reliable ADR/NEDC cycles claim a possible 557km range – which doubles what can be expected from the Ioniq. 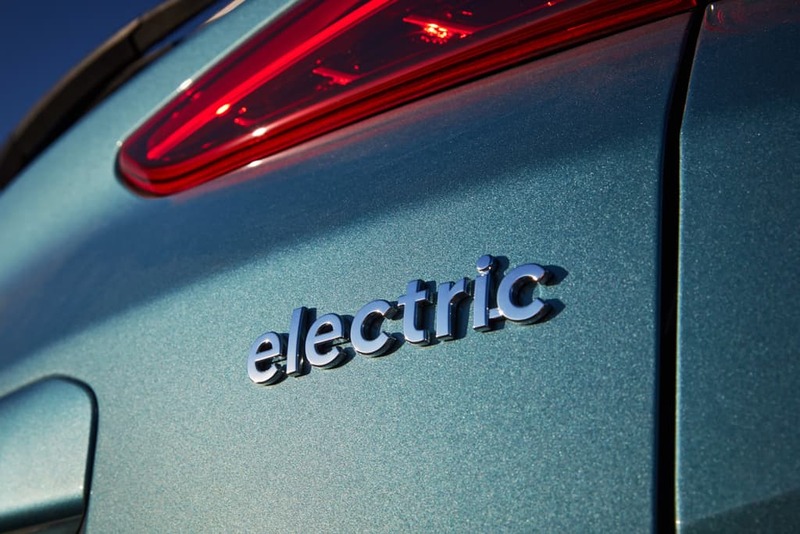 That lengthy range estimate is possible due to its big 64kWh battery pack, which is coupled to an electric motor sending 150kW and 395Nm to the front wheels alone. 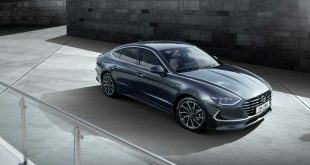 It’ll be good for 0-100km/h in 7.6 seconds, before going on to an electronically-limited top speed of 167km/h. 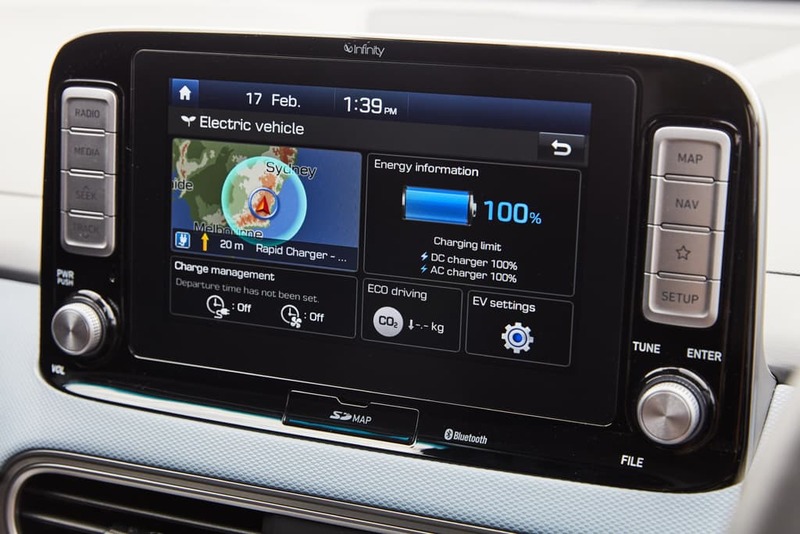 Using a wall-mounted AC home charger with a 7.2kWh cable, the Kona Electric’s batteries should take 9 hours and 35 minutes to recharge from empty. Using a 50kW DC public charger cuts that to 75 minutes, while an 80kW DC fast-charger will get the job done in just 54 minutes. 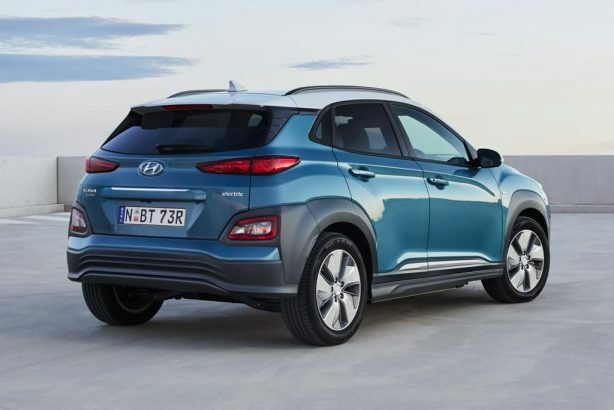 Utilising more aluminium in its construction than the standard Kona to offset some of the weight associated with its big battery pack, it tips the scales at 1,685kg – still 270kg more than the heaviest petrol-powered model. 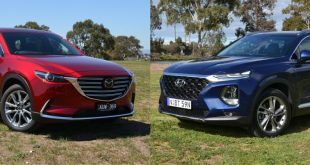 Like all Australian-delivered Hyundai models, it benefits from locally-tuned suspension to optimise its ride and handling for Australian roads and tastes, with the company’s engineers claiming that 37 damper designs and six spring and sway-bar combinations were cycled through before settling on the final tune. 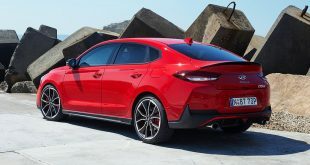 Although sharing its basic shape with the standard petrol-powered Kona, a number of styling changes have been made – the front bumper has an enclosed grille that houses the charging point and some active air flaps, the rear bumper design is more aerodynamic, and its 17-inch alloy wheels have been designed to create less drag. 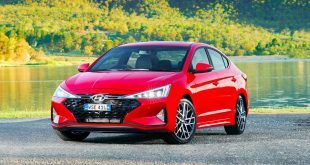 On the inside, the centre console has been redesigned to remove the shifter and add more storage space due to the extra room created by its lack of a transmission, while the climate controls and infotainment screen surround have also been redesigned. 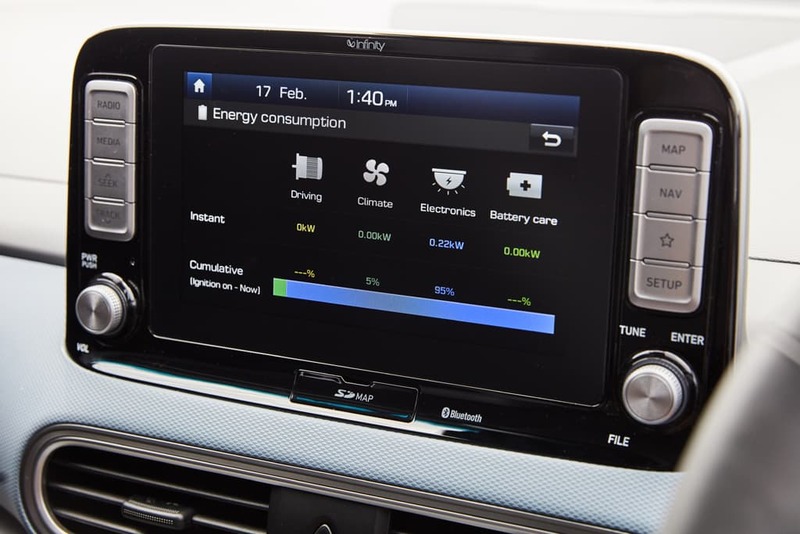 Additionally, both grades receive a new fully-digital instrument cluster. 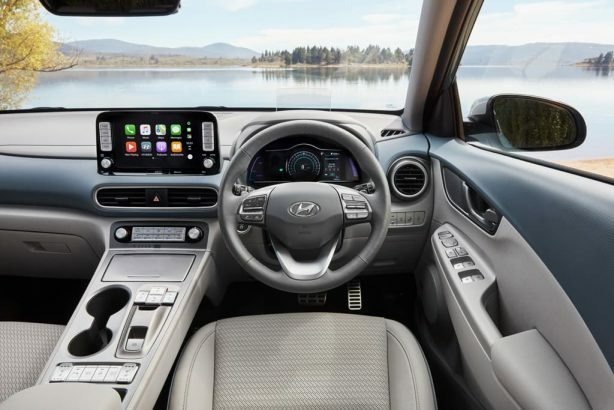 Standard equipment for the base Elite includes an eight-inch infotainment screen with sat nav and smartphone mirroring, a premium Infinity audio system, leather seats, keyless entry and push-button start, and rain-sensing windscreen wipers. 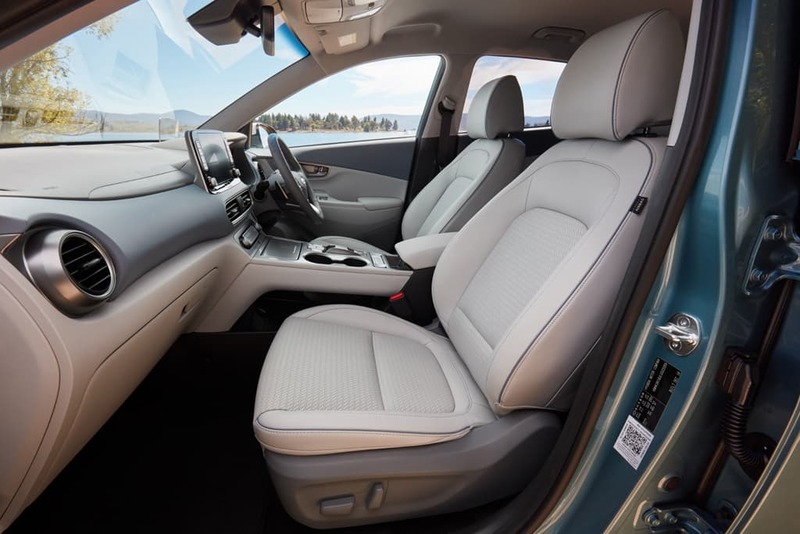 Meanwhile, stepping up to the Highlander adds LED headlights with high-beam assist, LED taillights, front parking sensors, heated and ventilated front seats, a heated steering wheel, a head-up display, a wireless phone charging pad, and a sunroof. 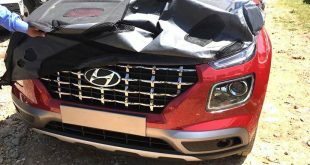 However, like on the standard Kona, the Highlander’s sunroof is deleted if you opt for a two-tone paint scheme, and speaking of paint, six body colours are on offer – Ceramic Blue, Chalk White, Galactic Grey, Lake Silver, Phantom Black, and Pulse Red. Both Elite and Highlander models benefit from the full SmartSense active safety suite, which includes camera and radar-controlled AEB with forward collision alert, blind-spot monitoring with rear cross-traffic alert, driver attention alert, lane-keep assist, and adaptive cruise control. The AutoLink Premium app is also standard, which allows drivers to access the car’s ECU via their smartphones. 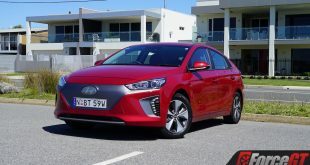 As with the Ioniq, the Hyundai’s standard five-year warranty with no mileage cap applies, while an eight-year/160,000km warranty is applied to the battery pack. Servicing is required every 12 months/15,000km and is capped to $165 a pop. The Kona Electric’s $60k price-point sees it cost $15,000 more than the entry-level Ioniq EV, while it commands a $20,990 premium over the Kona Highlander 1.6T – the priciest petrol-powered model.